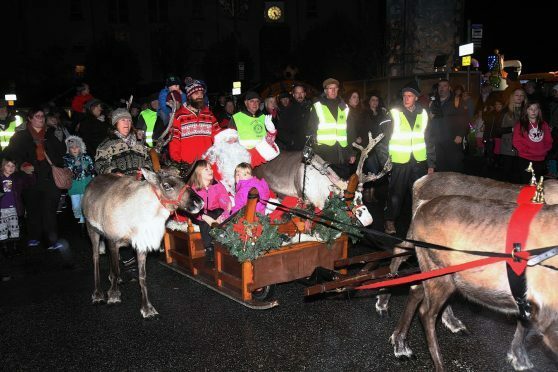 More than £12,000 has been awarded to light up Oban and Tobermory this Christmas. Funding for Bid4Oban and Tobermory Christmas Lights Committee has been approved by members of the Oban, Lorn and Isles area committee. Bid4Oban has been allocated £9,000, to commission a suitable contractor to put up the lights, test and maintain them as well as remove them at the end of the season. It will also organise the light switch-on event. Tobermory Christmas Lights Committee has taken the lead on festive lighting in the town for a number of years, with support from the council, both financial and in kind. A grant of £3,000 will cover maintenance, repair and replacement of damaged features, as well as getting the lights up and ready for the festive celebrations. Any money left in the Oban Lorn and the Isles festive lighting fund will be carried over to 2019. Argyll and Bute Council has already agreed to gift these funds to any group that makes a formal agreement to take on long-term responsibility for festive lighting in the area. Councillor Elaine Robertson, chairwoman of the area committee, said: “We are very grateful to Bid4Oban and to Tobermory CLC for working with the council to find a more sustainable way of lighting up our communities over the festive season.